While white wine with seafood has long been traditional advice, try pairing the right red wine with fish to truly elevate your next meal. Sure, the pairing dogma of “white with fish, red with meat” seems antiquated, but it also appears logical, doesn’t it? But logic leads us to enjoy red wine with fish as well. Think of the red or dark ingredients that go with fish: tomatoes, olives, mushrooms, bacon, roasted peppers, soy sauce and cocktail sauce. Some say red wine can overwhelm the delicate flavors of fish, but isn’t a fine red Burgundy more delicate than smoked salmon or fried sardines? Sake is also a common pairing with sashimi, even though its flavors are far more intense than a slice of raw yellowtail. 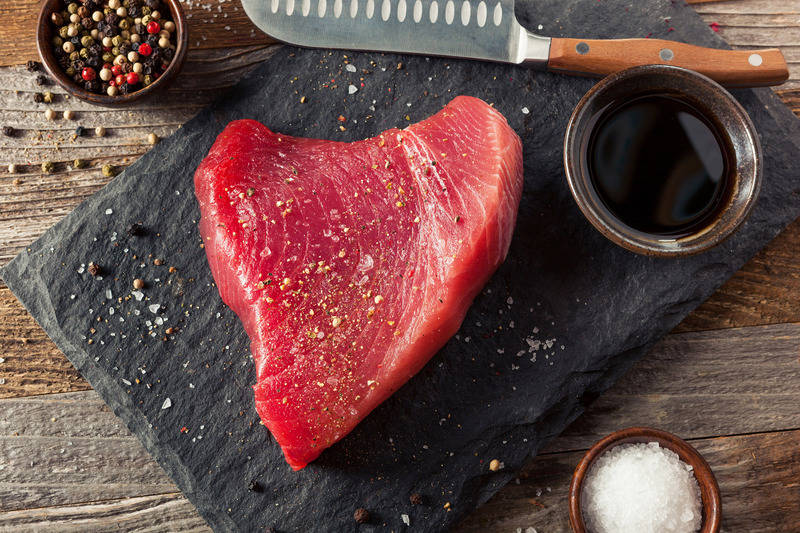 With so many types of fish, weight and texture should be your guide. Lighter, flakier fish calls for lighter-bodied wines than dense or fatty fish. But the method of preparation also affects texture, like poached versus roasted salmon, or tuna sashimi versus grilled tuna steaks. Skip the lemon squeeze, as such acids can clash with tannins and make all but the crispest red wines taste flat. Look for light- to medium-bodied wines with low or soft tannins. For fish dishes with assertive flavors or sauces, it’s usually better to pair the dominant flavor than the fish itself. And skip the lemon squeeze, as such acids can clash with tannins and make all but the crispest red wines taste flat. Let your wine be the final flourish that completes the dish. 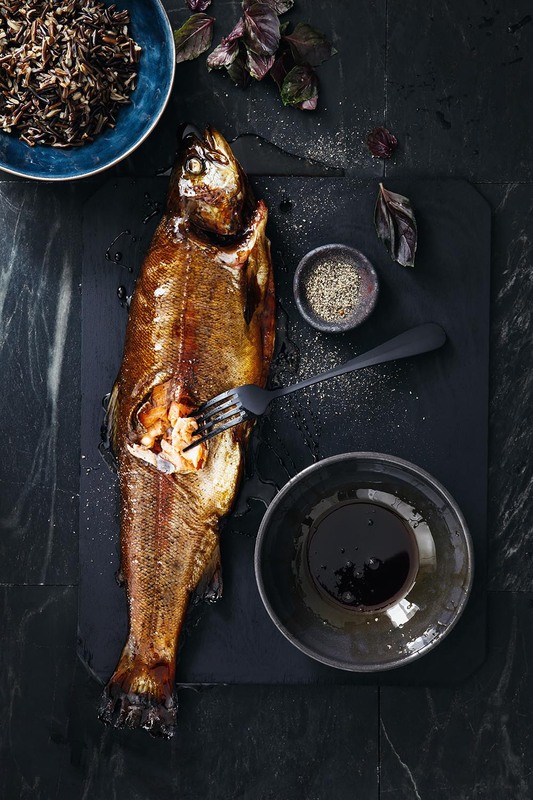 We look at three general styles of fish—lean, oily, and meaty—and three types of preparation: high heat (grilling, broiling, pan-frying), dry heat (baking and roasting) and in liquid (steaming, poaching and cooking en papillote, or in parchment). If you braise fish, essentially stewing in a flavorful liquid, pair with the braising liquid rather than the fish itself. These are called “white fish” for a reason. Their mild, flaky, snow-white flesh makes them an ideal canvas for an array of flavors. However, use caution: They can be thrown out of balance easily by a red wine, so tread cautiously. Consider flavors that will complement both the fish and red wine. Sweet soy or wine glazes, tomato or fruit salsas, red-pepper aioli or Romesco sauce will all work well. This cooking method brings a crisp texture and charred flavor that permeates soft fish quickly. Use skin-on or whole fish, and don’t overcook. Valpolicella Classico (not Ripasso or Amarone) is a fresh, light red wine with tart cherry and berry flavors, hints of baking spice and a subtle bitterness that goes well with char from a grill. Pair with: Monte del Frà 2016 Lena di Mezzo (Valpolicella Classico); $16, 90 points. Editors’ Choice. It’s usually better to pair the dominant flavor than the fish itself. Baking or roasting white fish delivers firmer flesh and concentrated, earthy flavor. Try butterflied whole snapper, or plump baked cod fillets with Gamay. The wine provides a pop of freshness with a brisk berry character and undertones of smoke and mushroom that go well with roasted dishes. Try a lively Cru Beaujolais like Brouilly. Pair with: Domaine de Colonat 2016 Clos Reisser (Brouilly); $32, 90 points. This delicate method suits delicate fish. It makes them taste like they just jumped out of the sea. Yet, even fragile dishes can work with a red wine. One tip: Don’t poach in acidic broths or white wine. Try using fish, mushroom or even meat broth. German Trollinger (known as Schiava in Italy and Vernatsch in Südtirol) is a light-bodied wine that works well with steamed and poached fish. It offers crisp acidity and seductive aromas of cherry, berry and floral pastille. It’s especially nice if the fish has been steamed with Asian spices like star anise and ginger. Pair with: Wachtstetter 2013 Steillage Trollinger (Württemberg); $22, 93 points. Editors’ Choice. Oily fish and red wine are a natural match. Like good friends, fat and tannins bond with one another, bringing out the best in each other. Fat carries flavor that tannins help release. In turn, it mellows the tannins’ astringency, which allows the wine’s other characteristics to shine. 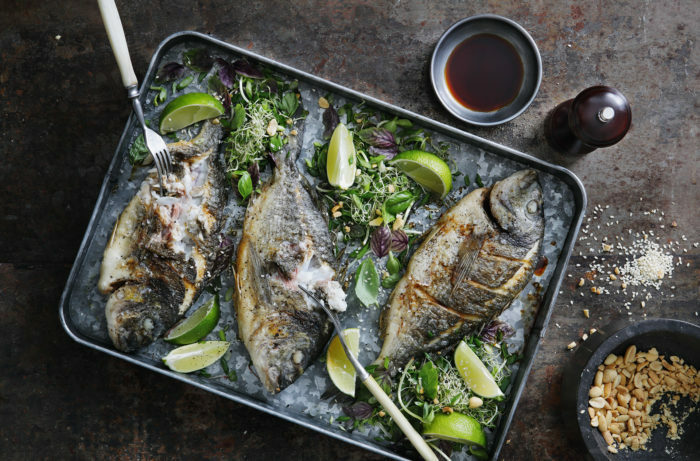 Grilling, broiling and pan-frying are among the best ways to cook oily fish. As with all fish, it’s important to not overcook. The fish’s oil content will keep it moist, but overcooking can give the final dish a metallic or “fishy” quality. 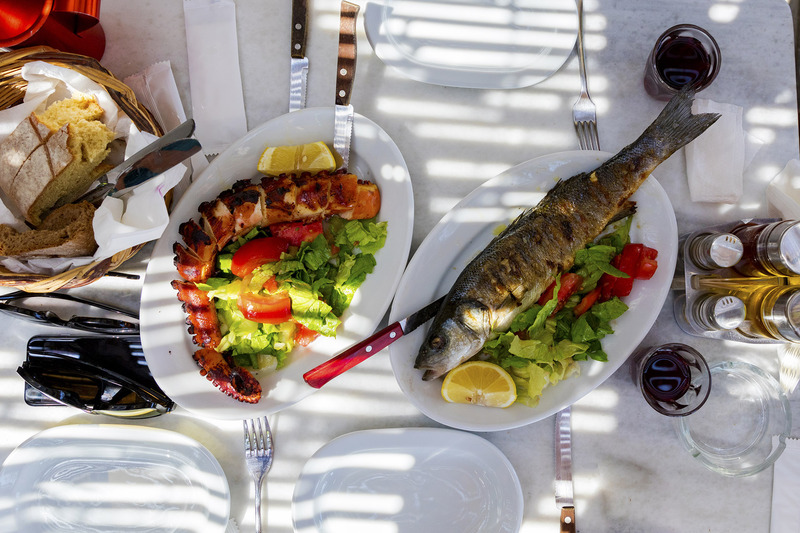 Rioja is not a shy wine, but it’s great with grilled food and suits the stronger flavors of these fish. Young (Joven) Riojas are delicious with vivid cherry fruit, while aged versions like Crianza or Reserva tend toward savory flavors of smoke, tobacco and dried herbs and spices that go perfect with grilled or smoked fish. Pair with: Bodegas Riojanas 2015 Monte Real de Familia Crianza (Rioja); $15, 89 points. This is a great way to cook whole salmon or trout. It’s less likely to overcook than using high-heat methods, and it’s easy to add other ingredients or sauces. The bright acidity of Barbera from Piedmont makes it very food-friendly. With richer, earthier fish, it can give that “squeeze of lemon” effect without the citrus, and its spicy notes merge well with the flavors created by roasting. Pair with: Marchesi Incisa della Rocchetta 2017 Valmorena (Barbera d’Asti); $22, 90 points. Wet-heat cooking isn’t commonly used for fatty fish, but it should be. Even once-ubiquitous poached salmon has fallen out of favor. Wet heat has the effect of taming stronger flavors without masking them. This is the technique employed for the most red-wine-friendly fish dish of all: salmon poached in red wine. Salmon and Pinot Noir has become a popular pairing, and it’s best when the salmon is cooked as simply as possible. Trout and mackerel are also delectable when poached. The light, earthy nature and bright fruit tones of New Zealand Pinot make it a perfect match. Pair with: Urlar 2015 Pinot Noir (Wairarapa); $25, 92 points. Editors’ Choice. “Meaty” is the keyword here. Densely textured and lean, think of these fish as you would pork chops or chicken breasts. Mediterranean flavors work well with these types of fish, as do sweet Asian sauces—teriyaki, gochujang, hoisin, white miso, nuoc cham, peanut, sweet chili—and spicy Mexican salsas. Try them tossed into pastas, tucked into tacos, sliced atop hearty salads and piled on buns in place of burgers. These fish work well grilled, broiled or seared in a cast-iron pan. Pack on a dry rub and grill until the fish flakes apart when prodded with a fork. Austrian Zweigelt is a great barbecue wine. It’s light-bodied and easy-drinking, but with lots of personality and spice. Its gentle tannins work with the leanness of these fish, while bright acidity can handle any flavor thrown at it. Pair with: Meinklang 2016 Zweigelt (Weinland Österreich); $19, 89 points. Thanks to its light body and crisp acidity, Sicilian Frappato is often consumed with the big tuna and swordfish caught in the seas that surround the island. This aromatic wine shows ripe red berry and warm spice tones that bridge the stronger flavors that might accompany meaty, roasted fish. Try pairing it with tuna in a briny puttanesca sauce, or mahi-mahi with fresh tomatoes, red onion and feta cheese. Pair with: Valle dell’Acate 2017 Il Frappato (Vittoria); $24, 90 points. 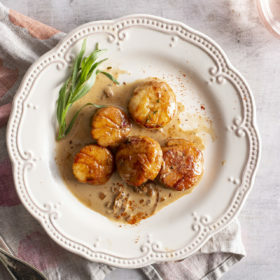 A terrific pairing for deep-fried fish is Tavel from the southern Rhône, the reddest of French rosés. Steaming or poaching meaty fish in water can make them taste like canned tuna. However, poaching them in olive oil is a revelation. Oil-poached tuna or swordfish has both richness and body, so the challenge is to find a similar, fish-friendly wine. Grenache takes many forms throughout the world, most of them not ideal with fish, even in this hearty form. But look for lighter examples of California Grenache that tease out its floral and herbal side. It’s become one of the most interesting varieties in California, particularly from the Central Coast. Pair with: A Tribute to Grace 2015 Murmur Vineyard Grenache (Santa Maria Valley); $39, 92 points. 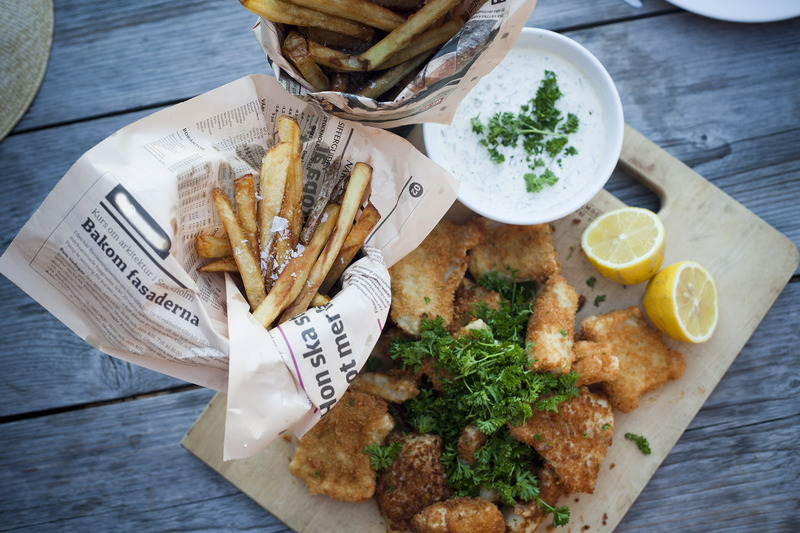 Deep-frying is one of the best ways to cook most types of fish, keeping it pristine under a protective coating. It’s not a red wine necessarily, but a terrific pairing for deep-fried fish is Tavel from the southern Rhône, the reddest of French rosés. It offers concentrated fruit while remaining dry and crisp. Its attractive herbal and mineral qualities complement the delicacy of fried fish while cutting through the richness. Pair with: Château de Manissy 2017 Cuvée des Lys (Tavel); $25, 91 points.